Learn to depletion guild reticulation silver, bringing the fine silver to the top, then heat until you mold, move and melt the silver into creating one of a kind texture. 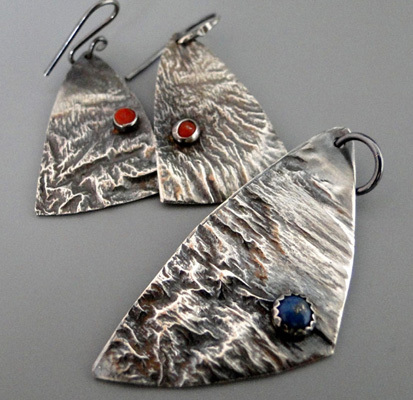 Take the metal and create a pendant and earrings with small bezel set stones! This class is jam packed with techniques! !